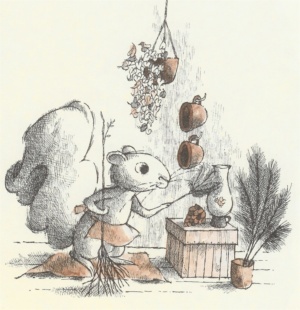 We are spring cleaning in the shop this month, saying good-bye to some items and adding them to the “Sale” page. Some are pieces that are no longer being made; others are going to make way for new creations from the talented folks we will be working with in the next few months. Once the toys listed on the “Sale” page are gone they will not be replaced, so if you’ve been keeping your eye on something special you might want to check and see if it is there. Quiet Hours now has its very own Flickr page. If you’re not familiar with Flickr, it’s an online photo-sharing community filled with great images, people who love to look and people who love to discuss what they see. By creating a page of my own I’m now able to share the work of the people who lend their talents to the shop with an even larger audience – which I’m always happy to do! You’re welcome to check out the photostream or get lost in a little browsing of your own. 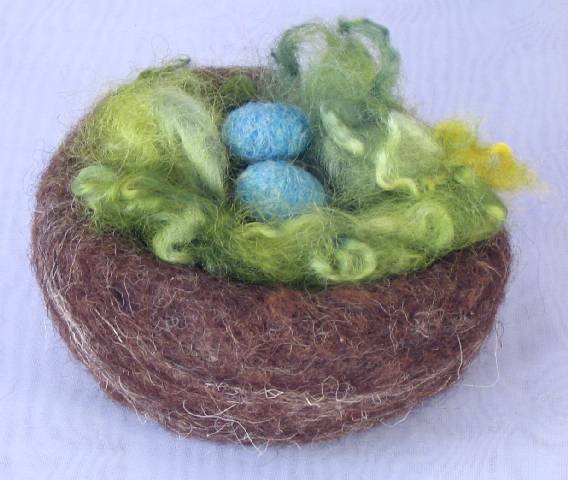 I’m pleased to announce that we will be offering a special limited-edition Easter Basket filled with handmade goodies from the shop. 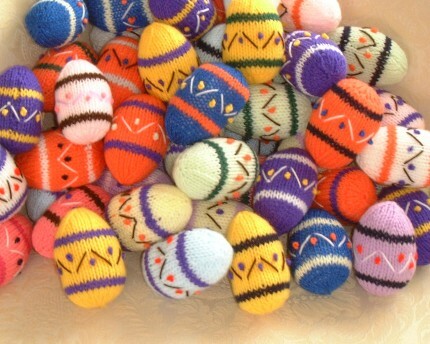 Each small basket will include 3 colorful knit eggs from Chrissy Brown (That’s her photo above. Aren’t they great? 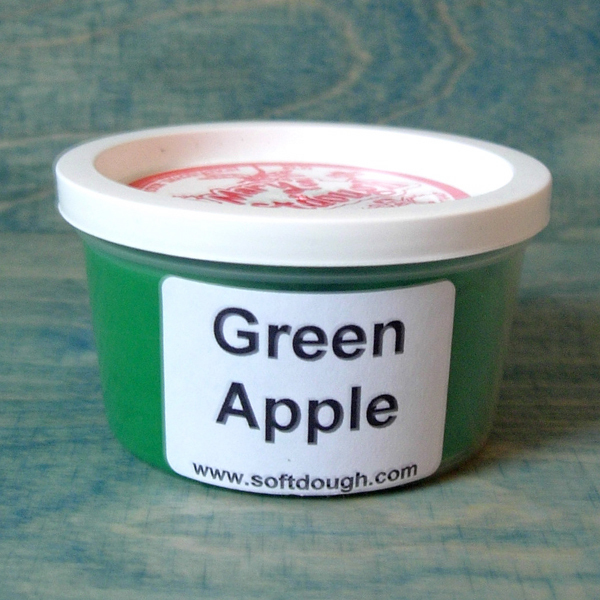 ), your choice of a little bluebird or bunny, and a felt hair clip or container of green apple soft dough. You can reserve your basket in advance, note your preferences in the comments section of the shopping cart, and everything will be be-ribboned, be-decked and shipped to you in time for the holiday! Quantities are limited. I’d like to extend warm thanks to sisters Deb & Wendy of Circleback Studios for 2 recent blogs. 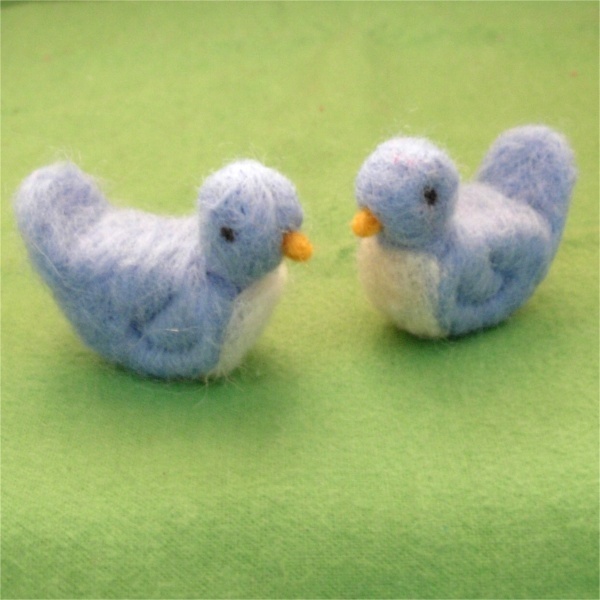 One is a generous plug for Quiet Hours and another, we’re tickled to say, is a love note to Little Elf’s Toyshop’s needle-felted bluebird that first flew in to the shop last Friday. Deb & Wendy are passionate about seeking out the latest in indie designers and crafters, and share their finds with others at Style Hive, a global shopping community that affords browsers a look at the best in global design. I learned about Style Hive last year and, in a bit of shameless shop promotion, have recently braved some postings of my own. I was thrilled to see people’s response to some of our toys and artists. Style Hive members take pains to support talented folks going it alone, and they know their eye candy. Go see for yourself. 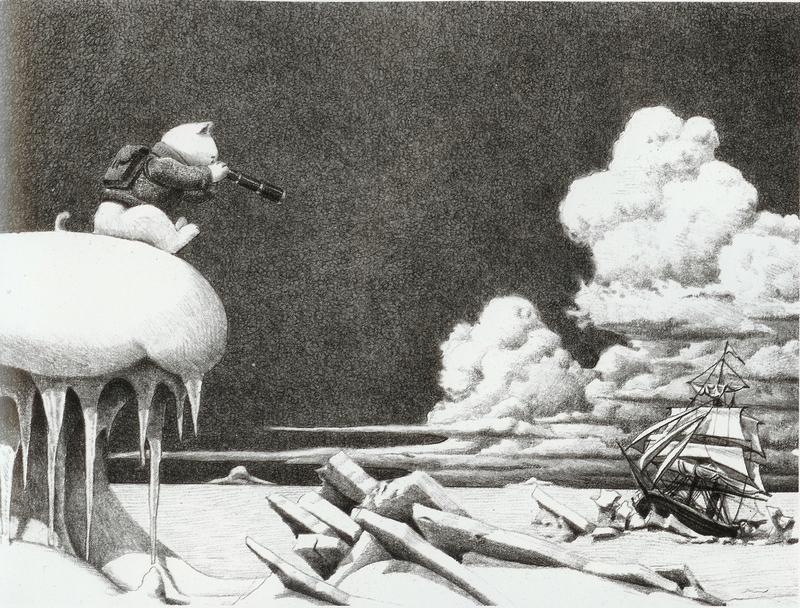 Getting back to our little bluebird, this is just the kind of light-hearted piece I like to see in spring. Holidays and birthdays always have parents scrambling for one big show-stopping toy they hope will light up their child’s life for years to come. While this is an admirable goal it can also be fraught with second guessing and, dare I say it, a slight obsessiveness on our parts. When spring comes along we can let all that go. It’s the perfect time to pick out something small that just plain makes us happy. Spring has us thinking about babies, so it’s only fitting that I introduce you to some of the adorable little bundles that have made their way to the shop in the past few days. 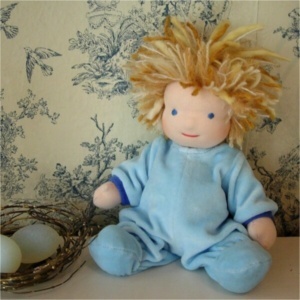 I know many of you share my affection for Waldorf dolls with their soft bodies and simple embroidered features. Until recently, the best have traveled to us from far-off places like Germany and South America. While I love these dolls (you’ll see many of them in the shop) I ‘m thrilled to be able to bring you some truly exceptional creations from closer to home – even better, they’re made by a young mom who considers each and every one a labor of love. 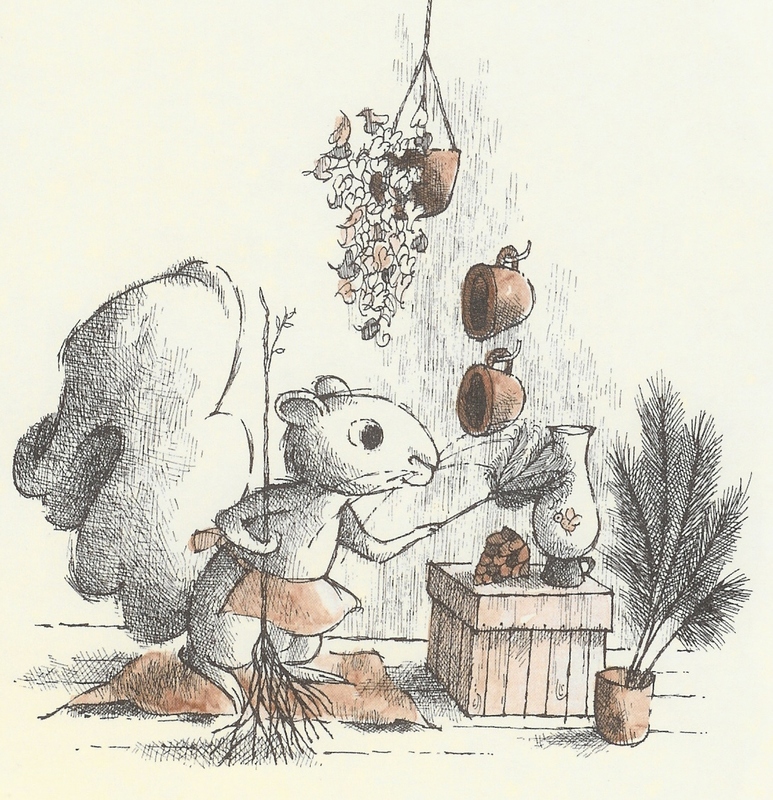 I’ve been following Christina Platt of Bamboletta for some time now. She takes the traditional Waldorf doll and updates it for today’s modern kiddos in ways that are sweet but never trendy. Her guys and gals are dressed in modern outfits that range from dinosaur t-shirts to funky sweaters hand-knit by Christina’s Nonna, and their tousled bed-head hair reminds me of my own two lads after a good day of play. “Bamboletta” means “little doll” in Italian and was Christina’s childhood nickname. 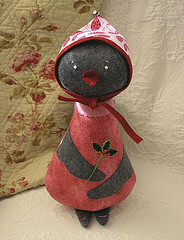 She makes several types of dolls but the stork has delivered us some of her latest crop of spring-time babies. 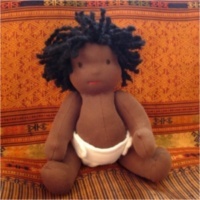 We’ve got blonde and African American cuties waiting for new homes, and a special edition “Emmett” doll for an older lad looking for a companion in-arms. Thanks so much, Christina, for sharing some of your delightful toys! The technical brain of this operation is Tom Filepp of Paper, Scissors and Glue. As a boy, he started “putting together computers from spare parts before they had any cool cachet.” Years later, he is a graphic and website designer of wide-ranging abilities, as well as a musician with mastery over an intimidating array of instruments. He took this techno-phobe in hand and patiently walked me through every step of the design process, never forgetting that the ultimate goal was to create a site with a pared-down look and streamlined shopping experience. He helped me make the artisan-crafted toys we sell the stars of the show – not fussy, cluttered graphics – and on a limited budget, too. 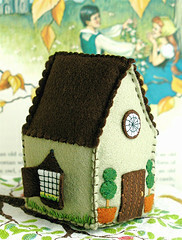 Our Cottage and Farmhouses have just gotten a wonderful mention from Softies Central. Softies, you ask, what are they? “Softies” for the uninitiated (and I was one of you until a few months back) is a term for all items plush and soft. 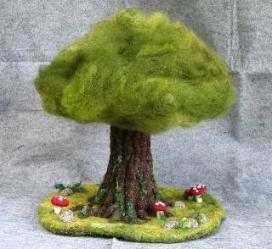 Softies Central bills itself as “a handmade hip experience” and that it is, run by Therese Laskey, a lover of all things softie, who has an incredible eye for the wide range of handmade goodies that are being created in the international crafting community today. 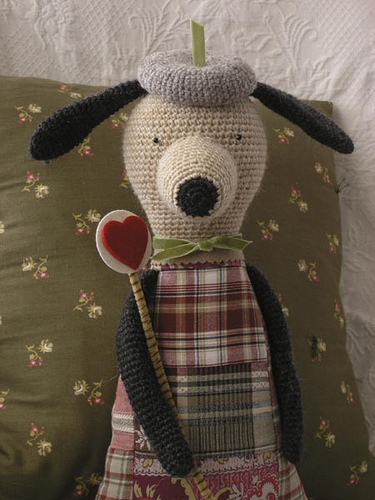 Her blog showcases everything from vintage-crafted stuffed animals to pincushions and fiber art. It is also a great resource for crafters looking to connect with others who share their passion for sewing and making things. 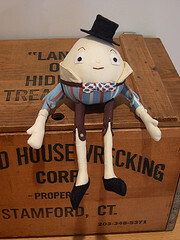 Humpty Dumpty by While She Naps. 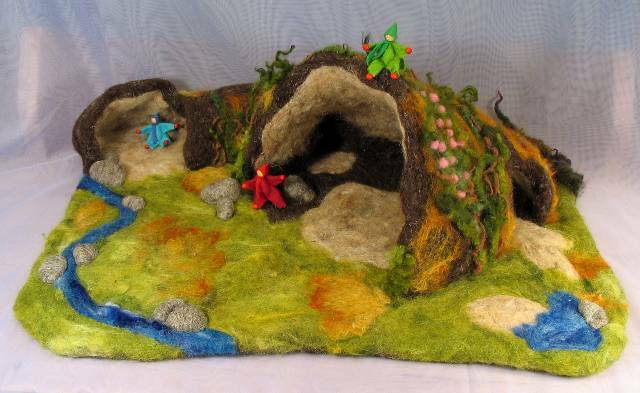 Abby makes one-of-a-kind stuffed pieces from vintage and hand-dyed fabrics. 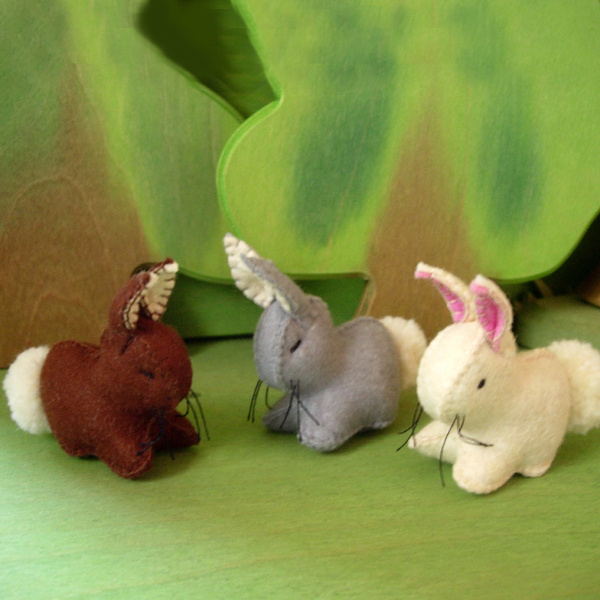 Two exquisitely-crafted animals by Sweet Nellie. These are not the pieces she entered for the Awards, but she is so creative I wanted you to see other examples of her work. 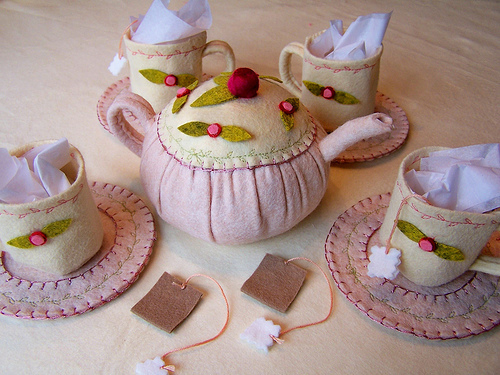 This tea set by Too Cute is made entirely of wool felt. Can you believe this? 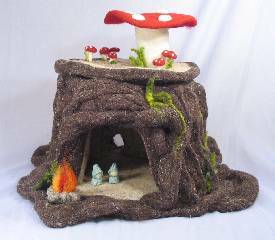 You’ll find other fantastic play food at her Etsy shop where, if she’s got time, she is happy to take custom orders. Very dangerous. 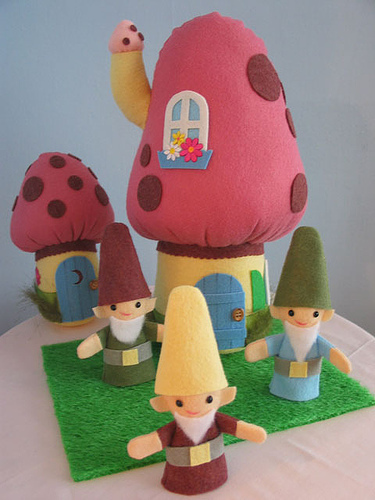 Mushroom houses, gnome finger puppets, happy colors – what’s not to like? Timothy Haugen of Fantastic Toys makes collectible pieces that look like something out of your favorite 50s picture books. 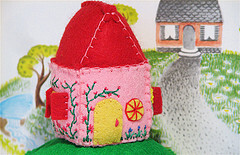 The house on the left is inspired by everyone’s favorite little pink house from Virginia Lee Burton’s The Little House. These are pincushions by Bella Dia. I want them to be toys. 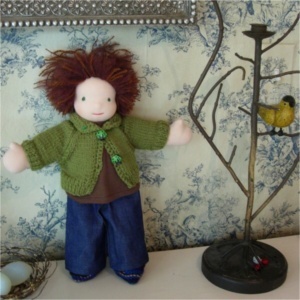 Handmade animals and artful objects by Stephanie of Little Birds . She is also co-creator of the photo-journal blog 3191 I mentioned in an earlier post. 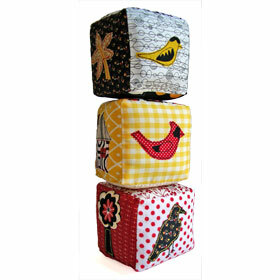 Ponies & Sugar Cookies makes fabric baby blocks with fantastic patterns and original appliques. They are hard to come by as they sell out so quickly, but if you are lucky you may be able to find some at Lily and Agathe or Mahar Drygoods, my favorite shop on the web, and one I discovered shortly after Quiet Hours opened. As I read about owner Robert Mahar I discovered we share some things in common – same age, same art history and contemporary art background, similar taste in artisanal toymakers – but Robert is way funnier than I will ever be. Treat yourself to a visit to his place and prepare to stay a while. 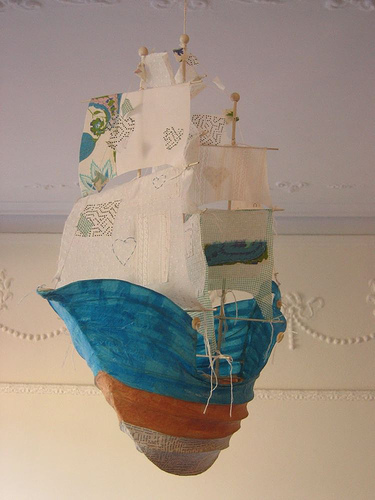 Ann Wood – Hand-crafted fabric birds that are not meant to be toys – neither is that gorgeous flying ship – but who says you can’t put a few in the nursery? So… after that long tangent, why would Softies Central feature our houses which, after all, are made of wood? Every so often Therese will go off-topic and talk about something that really catches her eye. I was thrilled when she discovered Holzkram’s houses and decided they were too beautiful to pass by, because that is just how I feel about them, and I know many of you do to. I’ve had quite a few inquiries about when the Little House will be back in stock, so let me just thank you all for your patience. Since the pieces are so heavy it is most practical to order a large quantity only once or twice a year. It takes some coordinating to get those big containers from Holzkram’s two-man shop in Germany to our one-mom shop in Pennsylvania. I will never forget when the very first shipment arrived: A giant tractor trailer squeezed it’s way into the alley behind our house, the driver stepped out of his truck with a puzzled look on his face and politely asked me where my forklift was. Thank goodness for power drills, a tolerant spouse and a genial driver who were willing to disassemble the crate in the back of the truck and help me carry the pieces one by one into their temporary home in the garage behind our house. I’ve learned a thing or two since then and am working with the gentlemen at Holzkram to arrange another shipment of Little Houses, along with one or two new surprises. I’ve had my eye on a more “traditional” dollhouse that not only has the same great design but is completely modular. The top floor can be removed to make two freestanding dwellings that can be placed side by side. Here’s a picture below. Let me know what you think.